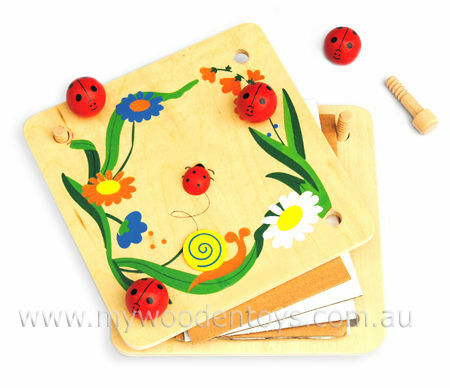 Wooden Ladybug Flower Press is a simple traditional flower press decorated with flowers, leaves, a snail and ladybugs. This flower press is secured by four wooden bolts with nice round ladybug nuts. The press comes with seven cardboard squares to place your flowers between. Material: Wood, Child -safe paint, cardboard squares. We like this because: "A practical and very sweet toy."